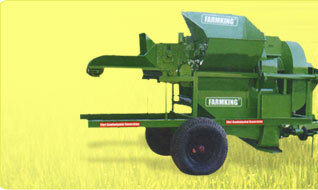 As leading manufacturers, suppliers and exporters of Agricultural Implements, Farm Equipment, we have with us well established quality control and monitoring facilities at different stages of production so as to ensure each of the solutions offered by us are the best available in the market both in terms of performance and price. Here, the service support of experienced team of professionals and support provided by experienced managements also supports our efforts towards maintaining strict quality measures so as to ensure the implements and other associated solutions delivered are as per international quality standards. Quality is our prime concern, it has been the core of our business operation. Our product range always meet International Quality Standards. Our company has been certified ISO 9001:2008 for following standard quality management system. We actively participate and evaluate the manufacturing process and capability of our vendors to ensure uninterrupted supply of quality components and materials. The entire production has to pass through a stringent in-process control and rigorous testing to ensure consistent product quality and interchangeability. Use of standard fixtures, jigs and mandrels ensure increased productivity and standardization. We have developed a strong quality assurance system based on the requirements of our world-wide clients. Inspections and testings are undertaken right from incoming and in-process to the final stage of manufacturing. A team of technically qualified and competent engineering personnel ensure fulfillment of standard SPECIFICATIONS and requirements provided by the clients for various parts, components & implements. Partisanship towards suppliers for personal gain. Sabotage or trading of confidential information. Disorderly conduct of any sort. Any employee caught indulging in any of the above activities shall be dealt with firmly. Providing false statements or concealing essential truths intentionally. We have adopted policies and procedures that are aimed at ensuring that FARMKING Shri Kanhaiyalal Ramratan Krishi Yantra Laghu Udyog meets or exceeds all applicable health and safety laws and regulations. We are committed to manage and operate our manufacturing facility in a manner that is fully protective of its employees, the public and the surrounding environment. Assuring compliance with all relevant safety and health standards. Consideration and understanding of safety and health in all aspects of our activities. Ensuring safety through an interactive approach that empowers employees to demand better conditions. Once employees are selected, they must be prepared to do their jobs, which is when orientation and training come in. Training programs are used to ensure that the new employee has the basic knowledge required to perform the job satisfactorily. The main focus of these programmes, workshops and training sessions is to generate awareness among our workforce regarding the existing international trends in its entirety. It includes topics such as multi-sectoral partnerships, corporate responsibility, corporate governance, environmental and social accountability of business and more. As the leading player in the Indian Agricultural Implements industry, we see growth as a prerequisite to sustained success. It can only be achieved by enhancement of our capabilities in terms of equipment and manpower. We regularly conduct training & orientation programs that seek to educate our employees and empower them with new skill sets to meet the challenges of today's fiercely competitive market scenario as well as to prepare them to adapt to the technology of tomorrow. Our training and orientation program aims at building new generation entrepreneurs and professionals to efficiently fulfill the ever-changing needs of the agro-based industry. In order to keep pace with latest innovations of the agricultural implements, we have set up a sophisticated and modern research and development unit. This unit is well-equipped with technologically advance equipment and devices, which assist us in conducting an extensive research. 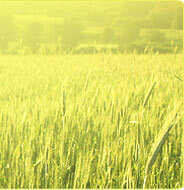 We have appointed a team of expertise having immense industry experience and domain expertise. These professionals conduct in-depth research based on various parameters, which enables us to formulate an advanced product range meeting all standards. Owing to our rigorous research activities, we have been able to carve a niche in the field of manufacturing high quality components.